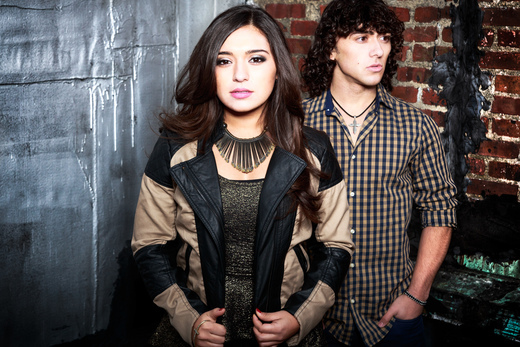 Justin and Alina are a brother and sister pop duo hailing from Central New Jersey. Their musical journey began with one simple purpose -- to leave their listeners feeling uplifted. This sibling team is no stranger to the stage. Performing with just an acoustic guitar and bongos may have been their roots and strong suit, but their recordings and live shows have only matured into something far more unique and entertaining… just as the stories and messages in their lyrics. Combining their smooth and captivating harmonies, acoustic and anthemic electric guitar licks, and catchy-synthesized ear candy, Justin and Alina's sound brings to light an edgy-fun, and upbeat pop/rock style. They are most excited to release their first official self-titled EP early in 2015. You’ll catch no sibling rivalry here -- just two highly motivated artists sharing their passion for songwriting and performing and their dreams of making a difference. It doesn’t get much better than this! Visit their website to see their upcoming showdates!